It was previously teased and speculated that The Legend of Zelda: Skyward Sword would come to the Nintendo Switch. Later, however, Nintendo made it clear that this was not the case. 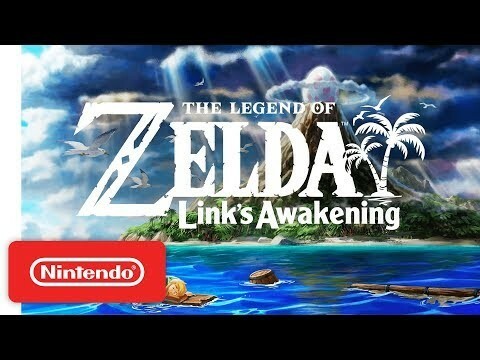 However, if you're looking for a new Zelda game for the console, you'll be pleased to learn that Nintendo has since announced that Link's Awakening will come to the switch. For those who are unfamiliar, The Legend of Zelda: Link's Awakening is not a new game. The game was originally released on the Game Boy more than 25 years ago, but is now being remastered and redesigned for the Nintendo switch so players can play the game if they have not played it yet. However, you have already played it, then this is a good opportunity to relive the good old days. As you can see in the trailer above, the game has been redesigned with a brand new set of graphics that look and fun. It's also very different from Breath of the Wild, which has become more mature. So if you enjoy the old Zelda games, you might be happy to wait. There is no release date yet for Link's Awakening, but it is expected to be released later this year. We will look for further details as they become available. Filed in Gaming . Read more about Nintendo, Nintendo Switch and Zelda.